Voting wrap up: Folks, we received our required 250 votes by the fifth day of voting. 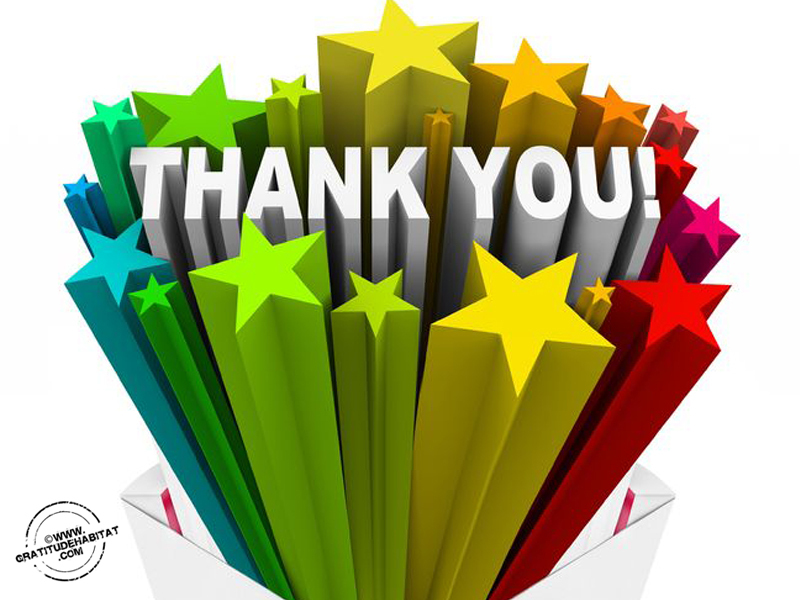 By Friday June 19th, our final vote tally came to 270 votes! That is truly amazing! You guys have boosted us into the judging or "panel review process" phase. Between now and September, the panel from Chase, and Mission Main Street Grants will review the qualifying applicants, narrow them down, and choose their favorites. While there is no doubt that there are other businesses who have generated more votes for their own campaigns, we believe that to be irrelevant. 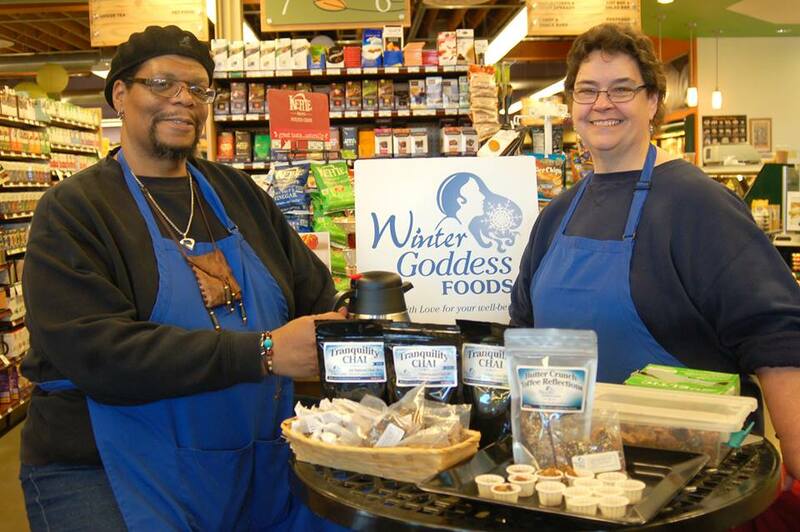 Terry and I feel that our process in creating our organic products, our work acumen, our desire to act globally by acting locally, and our community involvement along with our unique story, provides us with a good enough cause for the panel to choose Winter Goddess Foods as one of the twenty recipients of a $100,000 business grant. However, we would have never arrive at this point if it weren't for you. Seeing so much outpouring of Love and support from our community of "Peep" is truly humbling. (And especially those of you voting from around the world!) Terry and I not only shared tears of joy when we reached our goal, but we both marvelled as we watched some of you go on campaigns of your own, mobilizing your family, friends and co-workers to vote for us. Some of you went beyond that point and encouraged folks they didn't know to vote. To think that folks care enough for us and our business to go so far to help us succeed speaks volumes as to how rich we truly are. If Terry and I have learned anything at all from this entire process, it is that we are Loved. Thank you, each and every one of you who joined with us in this endeavor to help grow our business. You are the reason we do what we do; to make available good healthy chemical free products at an affordable price, that are "Made with Love for your Well-being." We are in your debt, and we Love you right back! As you know, we are currently vying for a chance at a $100,000 business grant from Chase and Mission Main Street Grants. In order for our company to move into the next step of the judging phase, we must first gain 250 votes on their special voting page before June 19th, 2015. So far, you have responded resoundingly! As of June 9th at 8am, we have received 189 votes! Terry and I are humbled by your amazing show of support. If you have voted, we thank you from the bottom of our hearts. If you haven't voted yet, we ask that you do so now. Voting is so easy breezy! Follow the link below which leads right to our special voting page and click on the voting button on the right. That's all there is to it. 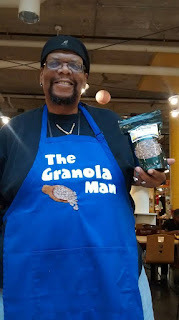 If you are a fan our business, a satisfied customer, enjoy our blog, resonate with our organic/sustainability practices, or are just excited about our future prospects, we ask that you vote for us below. Thank you, and Blessings to you all! Prior to the start of the 2015 Farmers Market season, Terry and I had decided to up our game on our community giving. We believe that there is no excuse for people to go hungry in this world, and especially not children. Over the years, we gravitated toward supporting Second Harvest Heartland; the primary food shelf in the Twin Cities. Sure, when we shopped for groceries at the local supermarket, we always rounded up at the register so that the extra change could go to charity. We've even purchased bags of food for the needy outright, and then placed them in the collection area for later distribution. Still, we thought that there was more that we could do. Starting with the first Midtown Farmers Market at the beginning of May, We have made the commitment to give 100% of all tip monies and contributions directly to Second Harvest. Each market day until the last event in October, we will be collecting to assist Second Harvest in feeding our hungry neighbors in the community. 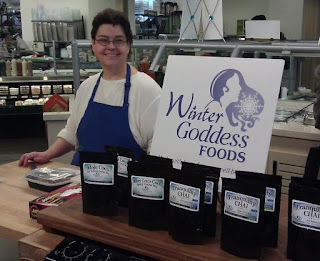 We have also published our collection results weekly on our Facebook page and on the Midtown Farmers Market Facebook page, in order to lend true transparency to our efforts. Once a month, we plan to submit the monthly total as a check delivered directly to Second Harvest. The great thing about this wonderful organization, is that through their extensive contacts, they can leverage $1 into 3 complete meals, or $8 in buying power for bagged groceries. We think that is phenomenal! Their dedication toward serving the hungry people in our community makes it very easy for us to honor their efforts with our support. 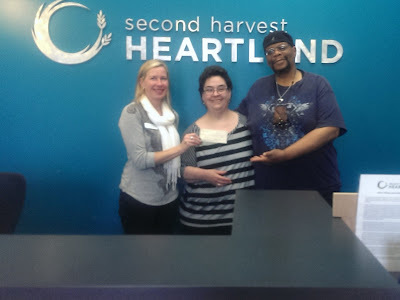 This past Tuesday, Terry and I gave our first official donation check to Second Harvest Heartland. We met up with Julie who was happy to share a photo-op with us as we presented her with our grand total collected for the month of May - $135. While this amount may be considered trivial by some, it is very much appreciated by Second Harvest. While they will accept actual food and supply donations, cash works the best since they are able to do more with it. As a result of the liberality of our Farmers Market patrons, 405 meals will be provided to needy folks in the Twin Cities area. To our generous fans, Terry and I say THANK YOU so much for your contributions, and for your giving hearts. We will be continuing this effort throughout the entire Market season. If you are so led, we ask that you please help us with our initiative to make even more meals available in the coming months! We are humbled to be a small part of giving back to our communities, and assisting our less fortunate neighbors. It's just the right thing to do.